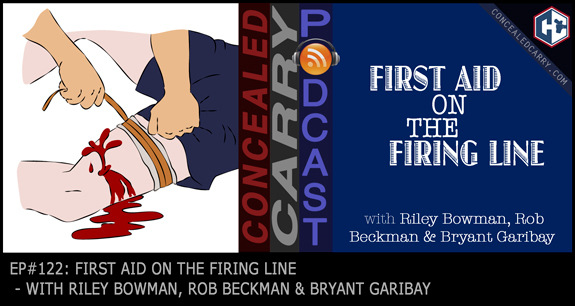 Riley speaks with Rob Beckman and Bryant Garibay about the importance of first aid skills for self-defense shooters and the process of diagnosing and treating victims while wait for EMS to arrive. Press ‘PLAY' above to listen now! Sports Afield. Once every 30 seconds in this country a home invasion occurs, have you ever considered how you would access your gun quickly in a home invasion while still keeping your firearms stored securely? The Sports Afield line of quick access handgun safes are perfect for the task. They are foam-lined yet built with heavy-duty 16 gauge steel that will keep your firearms protected and still allow you to quickly access them in an emergency with the reliable custom-programmable 4-button key pad. A line of full-size rifle safes are also now available that makes shipping and delivery easy! Trust this 100-yr-old brand (yes, the same company that has published the Sports Afield magazine since 1887) with your firearm storage and security needs. See the full line-up at: www.concealedcarry.com/sportsafield and for a limited time save 10% with the coupon code we give in today's episode! How many states accept a ccw from the State of Florida…………..